Do you know exactly how healthy you are? Is your health a state of mind or are you among the few blessed with good health? Well, you can’t answer that in a yes or no without taking a rain check on your condition. Being positive and health conscious aren’t enough: now, there are home health checks that you can perform from time to time to see just how you’re doing, so don’t pass these by. Do them at home on a weekly basis and find out how healthy you are. After all, catching a symptom in time could nip in the bud fast enough for you. 1. What Does Your Hairbrush Say? Have you been noticing a lot of hair falling in your bathroom sink or drawn in your hairbrush than before. If they are an awful lot more than before, it pays to do a self-exam by counting them. If they exceed 100 in a day, don’t worry because that’s within normal limits. However, if your hair fall means losing 200 strands of hair per day, or if you lose them in clumps and are left with bald patches on your scalp, call your doctor immediately. Unusually large hair loss means thyroid disorders, or iron, zinc or biotin deficiencies. If you’ve just had a baby or have undergone a hormonal change, you could lose a lot of hair. 2. Are the Whites of Your Eyes White Enough? The condition of your eyes is a mirror to your health. To find out how healthy you are, look at your eyes in the mirror and check the color of the whites. Check for any small differences or newness and then see if they grow into something big and obvious. If they are as white as they should be, it means that you sleep enough and that you are able to keep infections and allergies away from you. However, if you’ve developed a thin membrane over the whites of your eyes, it means they are overexposed to ultraviolet radiation. If they’ve turned red, perhaps the blood vessels at the eye surface has become dilated and enlarged. Either you haven’t slept well or you’ve been doing computer work for long hours uninterruptedly, or you’ve got a foreign object in your eye. It could also be due to cold, cough, dry eyes, conjunctivitis or herpes. These few checks can keep you alert about any new changes in your health. Look out for any signs of rash, allergies, infection and herpes. If there’s a tinge of yellow in your eyes, perhaps you’ve spent too much time staring into the sun with naked eyes. 3. Why Should You Blow Your Nose? Your nose is a key parameter to your good health. In fact, it can help to find out if you’ve picked up any infection or not. To find out, blow your nose using a tissue in the privacy of your home. If your tissue is all clear, great, but if you get a runny liquid on your tissue, it could mean you’re coming in for a cold or you’ve picked up an allergy. If you get a green or yellow fluid on your tissue, it could be symptomatic of an infection. If you get solid stuff on your tissue, you’re fine. 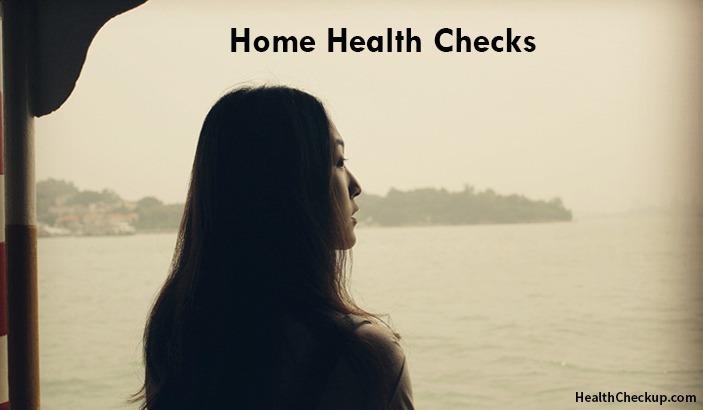 Take a health at home test to know where you stand. Considering we breathe normally through our noses without any obstructions, if you experience any congestion, it could be a sign of a cold, sinusitis or allergies. 4. What do Your Nails Reveal About Your Health? The condition and color of your nails are indicative of a lot. To know how well you are, take a health test and find out how the state of your nails influence your overall health.Begin by checking each nail for any signs of discoloration. If you see a long line running from the nail to the cuticle, it could be a sign of skin cancer or melanoma, which needs an exam by a dermatologist. A brownish stain under the nail bed could mean you’re affected by fungus, something entirely treatable with medication. To be in good health, you need to sport clean, clear and strong nails. Else, you could suffer from any one of 300 listed health issues that use nail problems as symptoms. What stands out among these are inadequate amounts of proteins, vitamins and minerals; hormonal imbalances, thyroid problems and psoriasis. 5. How Good are Your Reflexes? If your reflexes are good, it’s believed that your nervous system is working well. But what happens when your reflexes don’t give the kind of answers you’re looking for? Why do they underperform? Perhaps, you have an underperforming thyroid that’s making you sluggish and slowing down your body processes, and that includes your reflexes. Check your reflexes by sitting on the edge of a table. Swing your legs and tap pointedly on the tendon between the bottom part of your kneecap and the head of your femur. If your lower leg kicks straightaway, that’s good, but if your response is slow, you could have a thyroid problem. Have a blood test done and start losing weight. 6. How Do Your Teeth Look? Your teeth are a good indicator of your health as a major tooth infection could open the doors to heart disease, diabetes, etc. To be in good health, start flossing, however, if you’re too harsh with your flossing, your gums could bleed, so be careful. By flossing every day, you keep tooth decay, gum disease, heart disease, diabetes and infection at bay. However, if flossing is causing gum bleeding, don’t stop, because it means that you have a bacterial infection that only flossing can eliminate. 7. Is Your Urine a Bit Too Yellow? How to do it: Take note of the hue of your urine. If it’s pale yellow most days and then suddenly green or pink or brown for several days in a row, even though you know you’re drinking plenty of fluids, let your physician know. 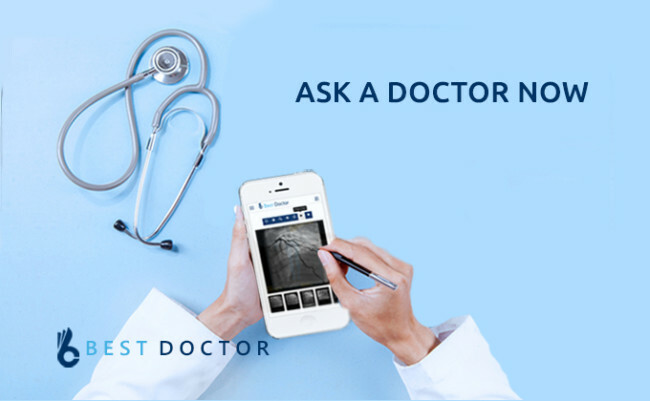 Take a health test to check for liver disease, infection and much more. Normal urine that spells good health is usually clear or a pale yellow. If it suddenly darkens or is laced with blood, it could mean you’re heading for urinary tract infection (UTI), liver disease, dehydration, kidney stones or bladder cancer. So, don’t take dark urine lightly. Go to your doctor immediately. How Much Does DNA Paternity Testing Cost? What is Procedure DNA Paternity Test? Why Do I Have Red Spots On Back Of Throat And Roof Of Mouth?